Online business is booming as never before with statistics skyrocketing at 56% of total revenues. Almost half of the business provide their services online and for many of them, major client pool is obtained online itself. The major obstacle in this path is getting visibility on search engines so that potential customers find it easy to look for your business amidst so many others. To grab the spotlight of search engine, it is essential to get your business portal search engine optimized. For a business person it is difficult to dive into the folds of SEO, so it is better to adopt a tool for it and as it so happens RankActive provides such services. Minimal: Allows to register 5 websites, 5 search engines, 250 keywords, 3 competitors, 1000 backlinks and 500 pages crawled for $29.95/mo or $269.95/yr. Optimal: Allows to register 25 websites, 5 search engines, 2500 keywords, 5 competitors, 2500 backlinks and 20000 pages crawled for $69.95/mo or $629.95/yr. Ultimate: Allows to register 50 websites with 10 search engines, 10000 keywords with 20 competitors, 7500 backlinks and 50000 pages crawled for $149.95/mo or $1349.95/yr. Flexible: This plan allows user to adjust the requirement and pay for the features accordingly. 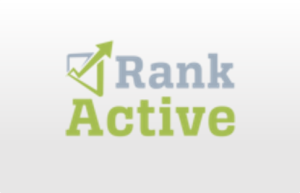 It is very easy to sign up with RankActive using your credentials or any other third party account. RankActive has integration with Facebook, Google+, Windows account and Twitter. 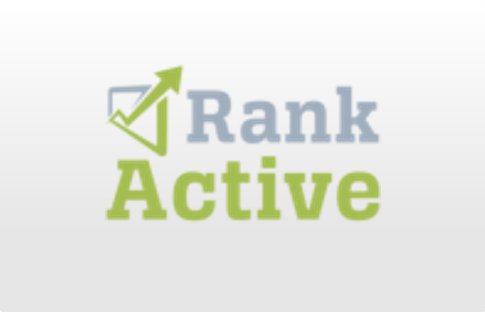 RankActive provides a fully-fledged dashboard to monitor the SEO strength of your site. User just needs to provide it the site URL and it starts scanning the strength. With multiple SEO options available directly on the dashboard, it makes managing easy. The tool provides you an option to add multiple sites for optimizing. To initiate with the process simple click ‘add new’ option on the dashboard and will require three step process to set up. Site: user needs to provide site URL and project name. Search engines: It lets you select 5 search engines for free trial along with the option to set up country and language. User can add location and region as well. Keywords: user needs to pitch in keywords related to his site to provide the tool an overview of your business. It also has an option to generate keywords automatically for your site. This option lets you edit your site setup with the additional functionality of granting permission to multiple users to manage your SEO strength. This is very effective option for medium and large sized business. This option displays all the major events occurring in relation to your site with detailed information provided along with date and delete option to effectively manage and search for events. This option lets you view the messages users have sent you. They are divided into the categories of incoming, sent and archived. This option makes it easy to communicate other users with access permission to manage the tool. After the initial setup the dashboard displays the project summary and current statistics of your site keyword ranking, ranking over time, average position, estimated traffic value and paged indexed google. It also provides a traffic overview with the option of integrating with google analytics. This is a very intuitive feature that lets you manage and observe your site’s ranking. You can update the rankings to view the recent changes and download report to keep as record of your site’s performance. It also shows the graphical representation of ranking over time and keyword dynamics. This option asks you to integrate google analytics for your site. After successful integration it displays the details of traffic over time, audience, traffic sources and channels, content, pages, pageviews, conversions and e-commerce and profile raw information. When operating a business it is important to make note of competitors and that can be done easily with RankActive. This option displays your business’ position in relevance to your competitors graphically along with the options to manage ranking, visibility, keywords etc. This option crawls the website and picks out the oddities and other SEO important factors. This option is not available for free users. It is an innovative option to observe your brand position by viewing social citations of your brand name and domains. Having backlinks to your site increase the authenticity. This option lets you manage the backlinks to your site. It also shows that statistics related to backlinks. In case you want to review your site’s progress, this option lets you view all the reports the tool has collected over a period of time. User can also view scheduled reports and can ask the tool to send reports via email as well. User can add notes to the project and set reminders as well. You can share your notes with other users as well for a single project and archive notes you want to keep for reference. Provides option to set permission to various users. Sends weekly report directly to inbox. Paid plans are very costly. This is one of a kind tool when it comes to SEO and it differentiates itself by providing all the necessary controls directly form one platform. It has excellent categorically demarcated help support for each of its features with an additional option of submitting a request. For more details, please visit: RankActive website.